The consent decree sets out a detailed plan for reforms that must be implemented by the City of Chicago and CPD. The federal court ultimately determines whether the City and CPD are following the requirements of the consent decree. The federal court will be assisted in this process by an independent monitor. Following an extensive selection process, Judge Robert M. Dow Jr., who is overseeing the case, appointed Maggie Hickey as the independent monitor and her team to help oversee implementation of the consent decree. Hickey and her monitoring team will evaluate and issue public reports on whether the city and CPD are meeting the requirements of the consent decree. The independent monitor will report to Judge Dow on the progress of implementation and compliance with the many requirements in the consent decree by the City and CPD. 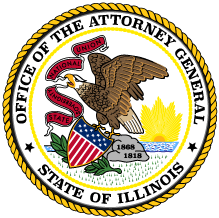 As part of the process of recommending a final monitor to the federal judge, the Attorney General’s Office and the City sought public input on the four finalist candidates by hosting two public forum sessions on Saturday, November 3, 2018 at the James R. Thompson Center, 100 W. Randolph St., Chicago. At the forums, the four finalists made presentations and answered questions from the public. A transcript of the morning public forum can be found here, and a transcript of the afternoon public forum is available here. In addition to providing feedback on the independent monitor at the public forums, the Attorney General’s Office and the City sought additional written feedback from the public. Richard Wooten, former Chicago police officer and a community advocate and president of the Gathering Point Community Council.